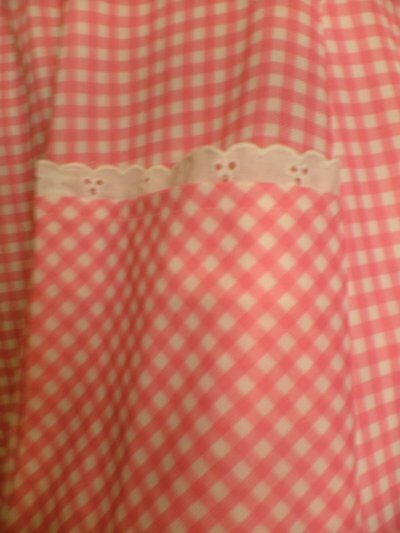 Vintage 50s sweet pink/white check summer dress. 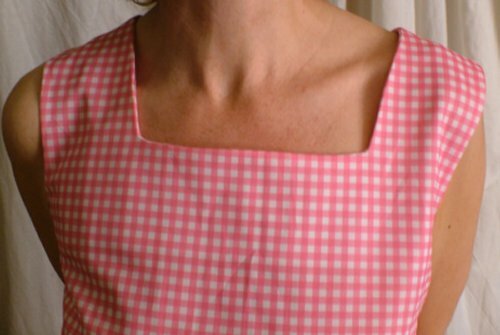 Here is a really lovely, easy-to-wear little dress in a man-made, textured fabric which will see you though the summer! It has a square neckline and two practical pockets, it's loose fitting with a sensible hem line...you'll soon wonder how you ever managed without it! It would look good with a tee shirt underneath on a cooler day, or to protect your shoulders from sunburn, and will pack without creasing. 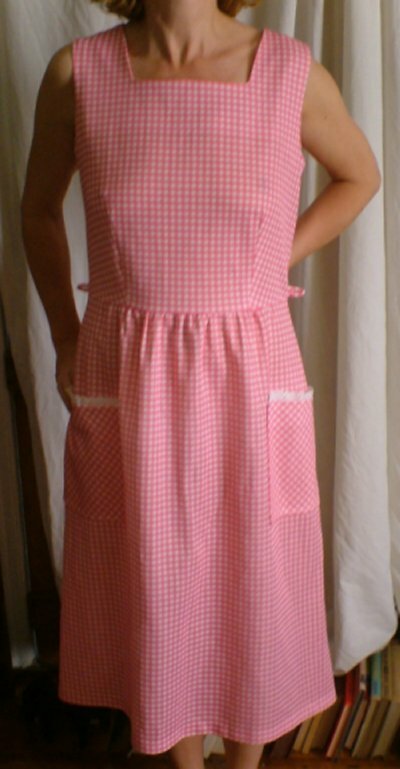 It has belt loops, but looks good without one. It fastens at the back with a long zip. In excellent condtition, with no fading, marks or tears, approximate measurements are, bust/underarms 40 ins (101.5 cms), waist 33 ins (84 cms), length 41½ ins (105.5 cms).